Benin has recently seen economic growth and political stability. However, millions remain poor in this little African nation. Particularly in the northern parts, extreme poverty is widespread. The main goal of SOS Children’s Villages in Benin is to support children, young adults and families through SOS Family Strengthening Programmes and a number of additional activities. At present there are three SOS Children's Villages in Benin, two SOS Youth Facilities, three SOS Kindergartens, four SOS Hermann Gmeiner Schools, four SOS Social Centres, two SOS Medical Centres and a regional mother and staff training centre. SOS relies on the kindness and generosity of Canadians to be able to provide a home for the most vulnerable children of Benin. Please help us ensure a loving home for every Benin child. Sponsor a child in Benin now. Your donation will help change an orphaned or abandoned child's life. Our work in Benin began in 1985, when an official agreement was signed with the Beninese government. SOS Children’s Villages received a plot of land in Abomey-Calavi, about 17 km from the country’s largest city, Cotonou. Our organisation decided to support Beninese children and families for various reasons. On one hand, the country and its people suffer from extraordinarily high levels of poverty. On the other, many children are cast out for traditional reasons of belief. Children are sometimes accused of witchcraft and a number of “child-witch” killings have been documented in Benin. In the northern parts of Benin, access to medical services, education and food is particularly difficult. SOS Children’s Villages has been trying to relieve this precarious situation through its existing programmes. In 2004, our organisation also started an SOS Family Strengthening Programme, aiming to enable children who are at risk of losing parental care to grow up within their own family. At present SOS Children’s Villages is supporting Beninese children, young people and families in three different locations by providing day-care, education, vocational training and medical services. Children who can no longer live with their families are cared for by SOS mothers. Benin has a total population of 9.2 million and its capital city is Porto-Novo, home to approximately 280,000. Its official language is French; however, a number of indigenous languages, in particular Yoruba and Fon, are widely spoken. Its shores include what used to be called the “Slave Coast”, from where African slaves were once shipped to the Americas. In 1872, Benin became a French colony. 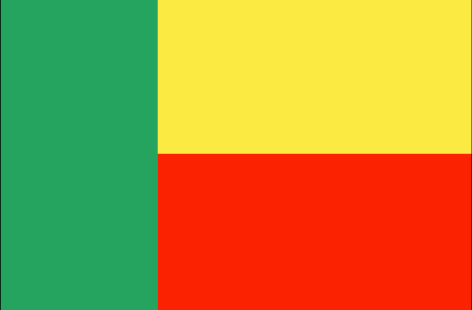 In 1960 it achieved independence as the Republic of Benin. After a series of military governments, a shift to representative government occurred in 1989. Economically, Benin strongly depends on neighbouring Nigeria, which has been the country’s most important trading partner in the region. Benin is one of the continent’s largest cotton producers as cotton accounts for a substantial part of the country’s Gross Domestic Product. In 2005, political unrest in Togo made thousands of Togolese flee to Benin, causing a humanitarian crisis as Benin was struggling to provide food and shelter for the refugees. One of Africa's most stable democracies but still a very poor nation In a country in which nearly 20 per cent of the population are undernourished, life becomes a daily struggle for those who find themselves on the lowest rungs of the socioeconomic ladder. Benin remains one of the continent’s poorest nations: 72 per cent of its population live in poverty, struggling to make ends meet. Besides HIV/AIDS, other pressing public health concerns include infectious diseases such as hepatitis A, typhoid fever, malaria and yellow fever. Thousands of people still die from diseases that could easily be treated in Western nations. Poverty in Benin is predominantly a rural phenomenon: in rural areas, only 4 per cent have access to sanitation facilities. Access to drinking water is also scarce in the countryside, where 31 per cent have to use water from unimproved sources. Demographically speaking, Benin is a very young nation: nearly 50 per cent of the country’s population is less than 14 years old. However, life for many Beninese children can be tough as their rights are violated every day. The number of children who grow up without parental care amounts to a shocking 310,000. Many of these children have lost their parents due to AIDS. 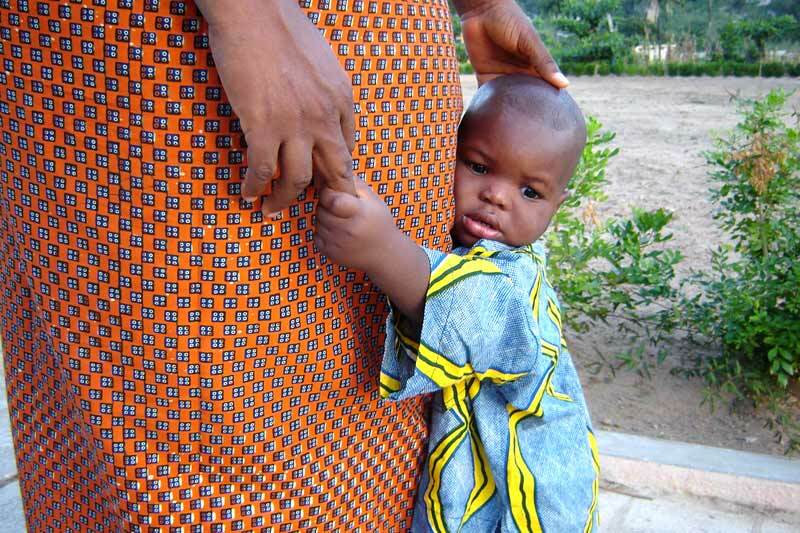 Especially the mother-to-child-transmission of HIV is a persistent problem: 32,000 women in Benin are HIV-positive. In one of Africa’s poorest nations, about one in five children is underweight. The situation became even more dramatic as a result of the heavy floods in 2010. Out of 1,000 live births, 121 children never reach the age of five. Poor access to basic services, food and education turns life for the children of Benin into an everyday challenge. Quite often, children have to work in order to financially assist their families. They would work on family farms, as rickshaw operators, on construction sites or in small businesses and markets. Not being able to go to school because of work seriously diminishes their chances to lead a better life once they become adults. Without education, the vicious circle of poverty can hardly be broken. Thousands of children who come from a poor family background end up living in the streets of Benin’s urban centres. Their adolescence is often marked by drug abuse, violence and sometimes even commercial sexual exploitation. Furthermore, Benin is a destination, source and transit country for child trafficking.